READY OR NOT, HERE SHE COMES: the hottest, new face to grace the cameras and Big Screen. Ebony Jae’!!! She went from whispering “I’m coming” to Jumping on the red carpet with icons like Angel Merino, Angela Simmons, and reality star Rah Ali. The celebrity interview and information site www.EbonyJae.com launches today, December 10, 2014. Celebrity personality, interviewer, and writer, Ebony Jae’ is centralizing her content in one easy-to-find location for her “Gems and Gents” (as she refers to her followers). She’s ready for direct hire for media outlets looking to obtain talent. The Dallas trendsetter that set the standard and brought you Eminent Modeling and Promotions, INC, what is still known as an award- winning promotional company which provided models that were featured in top charted videos on Bet’s 106 and Park countdown and MTV, acquired clientele such as: Seagram’s Gin, Apple Bottoms Jeans Co., and professional athletes such as: Jason Terry and Josh Howard. RADIO Voice that show cased She’s dominated online radio. Producing and Co- Hosting DNA radio with celebrity radio personality Dj Kayotik of MMG and comedian Kc Mack which successfully made #1 on podamatic each show. 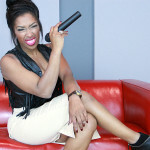 Eminent Radio with Co-Host Ritz J Will that focused on fashion and sports. Yes, this is Ebony Jae’. Do we have your attention now? Ebony Jae’ is not an overnight celebrity. She’s been on the scene for over 8 years and plans on building an empire for all gems and gents. Her social skills come from succeeding as the Director of marketing and promotions for the Texas Summer Music Conference. Ebony Jae’ says: “life is about having compassion on others, making a difference in the world with the gifts, skills, and talents God has given you.” Her brand speaks to all mothers, entrepreneurs, fashionistas, and socialites, that everyone can be where they want to be if they just take the time, make a plan, keep checking things off the list, and stay consistent. Ebony Jae’ is currently a celebrity TV host for the Dallas Entertainment Journal and Editor and Chief of DFW Rap, an online radio show. Today, you’ll see how in love with life she is, because she believes everything only lasts but a moment, so she always gives you “The Ebony Jae’ Experience” http://youtu.be/ic_DOXjZUmw (Video Reel). 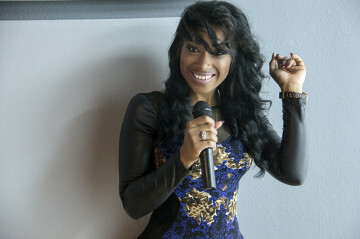 From unique celebrity interviews and updates to what’s happening in and behind the scenes; as well as the latest and greatest of celebrity trends and fashion, go to www.EbonyJae.com, daily.